On the 1st of April 2004 Google launched its first web based email service, known as Gmail (although it wasn’t technically the first ‘G-mail’ to have ever existed). This launched with exciting, industry changing features such as, a large amount of free storage, a unique and fast web interface and powerful search. Google soon added Google Calendar, Google Docs and a range of tools to create a suite of productivity tools. The public took them up in large numbers. In 2006, Google launched its tools in a format that could be used for business. Initially called Google Apps, and now known as G Suite, Google has continued to develop and add business grade features ever since, taking a large slice of the market. Today it is one of the most popular email clients across personal users and businesses, with 2018 estimates showing 1.5 billion active Gmail users and 4 million business on G Suite, according to Google. So, the question becomes, should your business also be using G Suite? 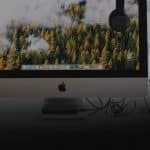 How do I know if G Suite is best for my business? G Suite is a group of applications. One of the most important is the business grade email service, Gmail. This is core to most businesses operations. G Suite is more than just ‘Gmail’ however. It’s a web-based, cloud-centric, productivity-driven suite of tools, packaged with cloud storage and additional apps to enable collaboration. When selecting a business grade email and collaboration solution for your business, G Suite is one of the major contenders, the other being Office 365. A customised email domain name (for example @enee.com.au instead of @gmail.com.au). 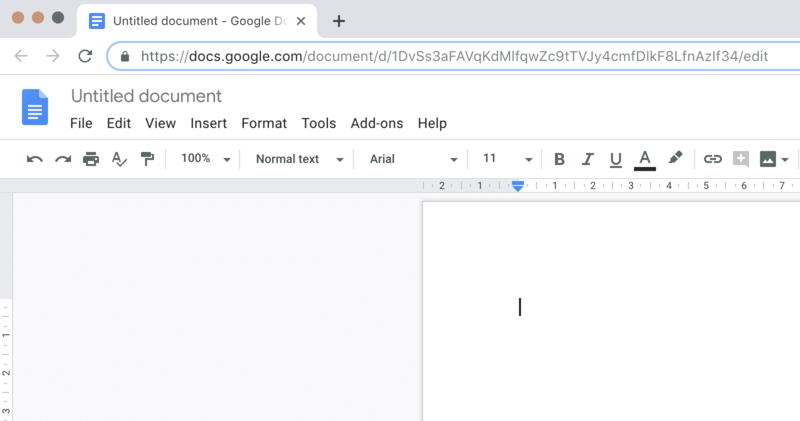 Access to other web-based applications on top of Gmail, such as Google Calendar, Google Sheets, Google Docs, Google Drive (similar to Dropbox) and more! Instead of having an email address with @gmail.com or @hotmail.com or @bigpond.com, a custom email domain that represents your brand, is essential. For most businesses this is something that is in place and done well. However, for some smaller businesses that may not have made the jump, G Suite allows you to take that step easily. If you’ve already got a free Gmail account, chances are you’re already familiar with this family of Google applications. If you haven’t, then you’ve been missing out! Essentially, Sheets, Docs and Slides are alternative versions of Excel, Word and Powerpoint respectively. And the best part is that they are all web-based applications, which means you don’t have to install it on your computer! You can literally jump onto any computer, log in via your web browser and off you go. This is one of the most valuable aspects of cloud based computing. They don’t take up any storage space on your computer since you don’t have to download and install a program. This also reduces maintenance and support. 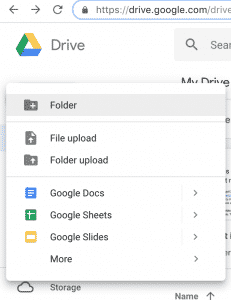 Any documents created through Docs, Sheets or Slides doesn’t take up any space on your computer (or Google Drive for that matter!). You can invite and collaborate in real time with anyone, anywhere with an internet connection (e.g. multiple people can have the files open at once!). These applications automatically save progress, meaning you never have to worry about losing data. Also these ‘saves’ create ‘restore points’ which allows you to revert to an older version of each document if something gets accidentally deleted. With the Basic package of G Suite you get 30 GB of storage for each user. Which is a pretty decent amount. If you feel like more, it is easy to upgrade to 1 TB of storage, or unlimited storage if you have more than 5 users. Google Drive is essentially a shared drive for your business in the cloud, tightly linked to your email system and all your Google Apps! You may have heard of, or used a cloud storage service such as Dropbox. For a separate fee you get access to online storage. With G Suite, especially with G Suite Enterprise you can get all the storage you need, all included in the price of your G Suite subscription! When it comes to scheduling and coordination, then a business-wide calendar is a must. As part of G Suite you get access to Google Calendar, which integrates nicely with Gmail and works seamlessly on mobile devices. Here you can create and share meeting invites internally or to external parties, set reminders, change calendar sharing permissions, and create hangout meetings (more on this later). 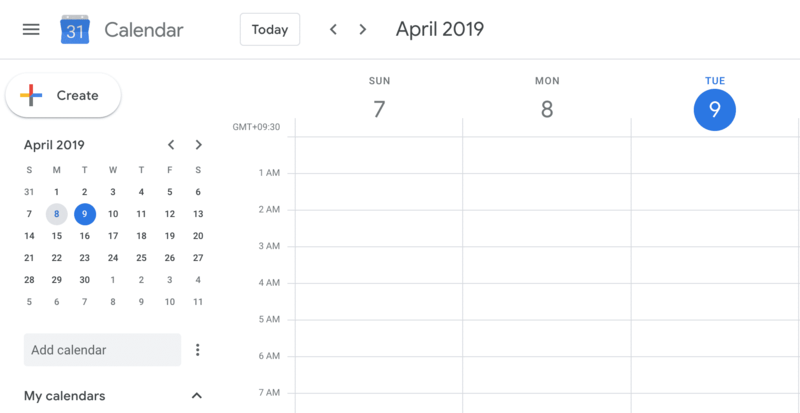 Google Calendar also integrates with a number of third party apps, making it even easier to keep all your appointments in one spot. 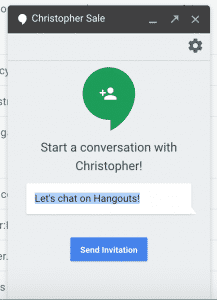 Lastly we have Hangouts, which is Google’s solution to instant messaging and video conferencing. Having an inbuilt messaging system comes in handy for those quick conversations that are best left outside of email. You can even create group chats to address a few people at one time. In addition, in order to further encourage collaboration and facilitate communication across remote teams, Google has built in video conferencing into this neat little package. Video calls can easily be started from each chat box and allows up to 25 participants to be involved. There’s two options that we’d recommend for business grade email hosting and collaboration; G Suite and Office 365. There are a number of pros and cons when comparing the two solutions and determining which is right for your business. We often recommend getting custom advice for your business. However, if your business sees the value of web based cloud applications, or already use web based applications in other areas of your business, then G Suite is perfect for you. Google’s approach to productivity and collaboration, along with the integration of web-based tools and applications creates a seamless and enjoyable user experience. If you’ve decided to make the move to G Suite then Enee have got you covered! If you’re coming from another email service, then we can help migrate you over and assist you with the setup of any new emails you need. Or, if you need us to set up a brand new email address, including setting up your domain name and all emails you need – we can do that too!